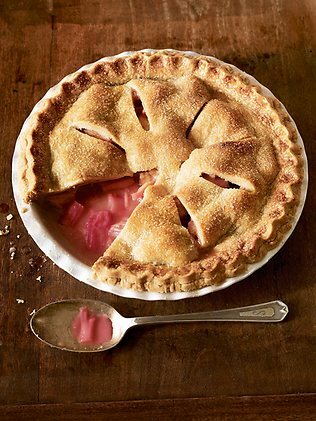 IS there anything better than yummy old rhubarb? I simply love chopping it up, adding a tiny sprinkle of brown sugar and a squeeze of lemon juice before heating and eating. Or baking in a pie. Even adding stewed rhubarb on top of porridge! Today's Weekly Times carries a great article by Peter Cundall on growing this divine vegetable.